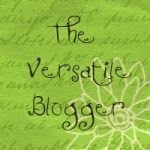 I've been awarded the Versatile Blogger Award by Kara at Scattered Joy. Thank you Kara. But today, (or whatever day you read this) we should all give thanks to Kara because my seven secrets are going to be seven things that you need to know if you ever find yourself in Le Petit Village for an extended period of time, which could totally happen, because you never know. You know? 1. You must have a stocked refrigerator. The little local épicerie is only open from 8am until noon and closed altogether on Wednesdays. Plus, there isn't anything good in there anyway. And don't count on Le Petit Bar serving you food... that is completely on the whim of The Parisian. Case in point... Saturday afternoon, I headed over to read my book and have a beer in the sun (I'm reading Pillars of the Earth if you're interested). It was a little after 1pm and a couple of tourists approached. I bonjoured them as they walked into the bar looking for lunch (see, Le Petit Bar, is actually a restaurant). They were turned away and told that lunch was not being served. That would have been kind of fine if The Parisian, his mother, sister and Mrs Parisian weren't all sitting there dining themselves. Oh well, another customer lost, way to go Le Petit Bar. No gold star for you. So basically what I'm saying is, if you have an empty fridge and are hungry, you're S.O.L. 2. Get yourself some Wifi (or weefee en français). Trust me on this one. 3. Muster up some patience because 1) it takes forever to get anywhere, 2) we're on South of France time (basically that means everybody here is late, except for me), and 3) check out number 1 above. 4. Learn French, or befriend the local English speaker (that would be me). Knowing French will enable you to yell at The Parisian when he tells you that he has run out of Heineken, Rosé, or Coke (I am not joking... homeboy has actually run out of all three of these at one time or another, and we can add Leffe, Whiskey and white wine to that list as well). 5. You must be able to entertain yourself. See numbers 2, and 3 above. And number 4 does turn into a bit of a hobby (albeit a boring, frustrating one). So actually, see numbers 2 - 4 above. 6. Develop a tolerance for high winds. The Mistral has been shaking my house for the past 24 hours. It's like the big bad wolf is parked outside and every time I bring Fifty for a walk in this, I'm scared he's going to get swept up and fly away (although watching Fifty fly would help with number 5). And a bonus: if you see a Nazi Ghost Zombie, run (this probably should have been number 1). Do you have any versatile thoughts? Hahaha I love this!! I found so much of France to be just like this. It's such a beautiful place though! Wow! Sara your stories about Le Petit Village always make me pine for France! I do imagine certain Bar staff who can't be relied upon for food would become a bit annoying... but those pictures totally make up for it, no? Le Mistral is actually INSANE! It is so bitter bitter cold! I don't know how you do it lady, the five years I spent in small-town France just about drove me crazy. Give me grocery stores open until 9pm (and now sometimes on Sundays!) any day. Thanks Sara! You know, you should open a restaurant, you'd make a killing. Not like you'd have too much competition. Don't forget to work in the Nazi zombie angle, that is a huge tourist drawcard. "should have been number one".....YA THINK!?! The NGZ could have got one while one was chuckling over another wonderful post by you. Haha I love that the épicerie is only open for four hours! I should make "Being a French grocer" my back-up job. Those beautiful lavender fields don't hurt either... sigh. Sigh sigh sigh. Gorgeous photos....love the lavender fields. My big burly firefighter husband calls wi-fi "wee-fee" ever since our trip to Europe last fall. I think he forgot that it's not called that over here....it's cute so I don't correct him. I wanna see a nazi ghost zombie! Thanks for passing the award on to me. Do I list seven secrets about myself? You would be great and quite successful with a restaurant even if you only had bologna and pimiento cheese sandwiches due to #s 2-4 on your list. However, one imagines that the "rouge tape" would be quite a mess with many French government hoops to actually get in business. Well, then you could write about it and help with #5 on your list - hah! Love your stories, my dear! Those pictures are absolutely stunning. Le sigh, you are fueling my desire to visit France with each and every post! These kind of post about le petit village never fail to make me laugh. If fifty does start flying, or you see a nazi ghost zombie! LET ME KNOW! I have to visit Le Petit Village and of course YOU! I love your post and I love your village. But I really can imagine now how your life is in le petit village. Thanks for sharing!! May I ask where you took the last picture? It looks sooo great. The first and last picture are absolutely beautiful. You make it difficult to NOT plan a trip to "Le Petite Village!" Agreed! The Nazi Ghost Zombi should have been number 1! That would most definitely freak me out...a definite need to know! Mistral winds reminds of my favourite movie - Chocolat. And those fields of lavender are heavenly. I can just imagine the scent! I love this post...how cute! Is your first picture from near your little village? Remember when I asked you if you wanted to trade lives? After this post, I take that back. I would die without food, and I rarely have a fully stock fridge because Mr. A eats everything. Foreign languages and I don't seem to get along. I have been learning Spanish for over 10 years and am still not fluent. I'm a tiny person, and high winds tend to sweep me away. But I do always have my camera with me. So there's that. For any who was wondering about the photos... the lavender field photo was taken outside Saint Michel l'Observatoire and the other photos are of Le Petit Village. BISOUS TOUT LE MONDE! ah, the field of lavender is fantastique! as for the weefee - where does one find theese in le petit village? Thanks for commenting on my post! I used to have a beautiful blue Jeep Grand Cherokee, too!! I loved her but alas she was old and conked out on me the summer before college. I'm always a Jeep girl at heart! Haha. Those pictures totally make up for any lack of weefee and an actual convenient convenience store. How is Pillars of the Earth in book form? We watched the miniseries which was pretty good, but I imagine the book is much better as usual. We are going to Toulon, France -- in a month, for a month-- I need some packing advice -- I am thinking the dresscode will be different than Moscow, you know, like I can leave the fishnets and 5 inch heels here?